Sporting a classy number, Nithya Menen looked mesmerising and grabbed plenty of attention. It’s an open secret that the charming Nithya Menen is one of the most talented and popular stars in the Southern film industry. During her reasonably eventful career, the elegant lady has won the love of movie goers courtesy her mature personality, subtle style, sincere performances and of course reserved nature. 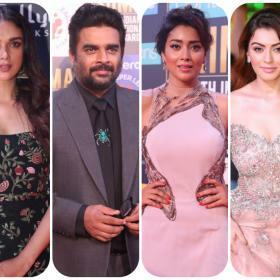 Furthermore, over the years, she has worked with some of the industry’s biggest names—right from Allu Arjun to Vijay—and proved that she is an A-lister in the truest sense. Now, she is in the limelight again. 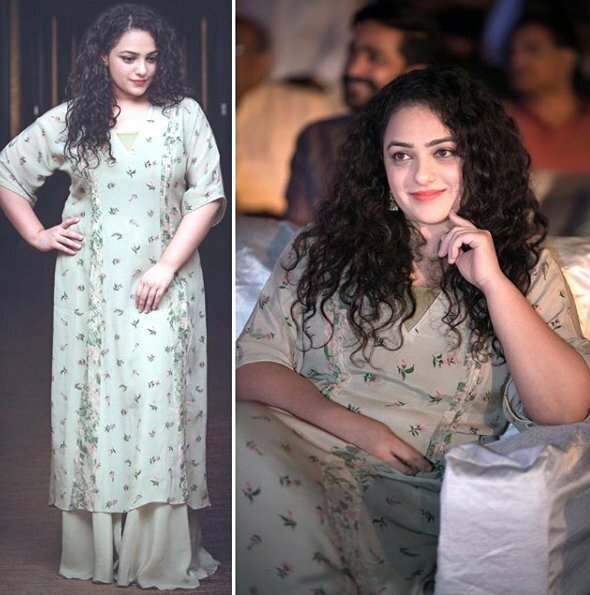 In an exciting development, Nithya was spotted recently as she attended the pre-release event of her AWE. Sporting a classy number, she looked mesmerising and grabbed plenty of attention. Her subdued smile gelled well with her stunning avatar and upped its recall value, in a big way. That’s how you make an impact! In case you did not know, AWE is touted to be a drama and has been directed by Prashanth Varma. Besides Nithya, it also features Kajal Aggarwal and Regina Cassandra in the lead. The supporting cast includes names like Murali Sharma and Eesha Rebba. AWE has been produced by ‘Natural Star’ Nani and is the first production venture of his career. Judging by its trailer, it is going to a moving drama that deals with a mass murder. A talking fish plays a crucial role in the film and it is voiced by none other than Nani himself. On a related note, 2017 was a terrific year for Nithya. She was seen in the big Diwali release Mersal and received rave reviews for her act. An action-drama, it had the much-loved Vijay in the lead and proved to be a solid hit at the box office. So, did you like these pics? Will you be watching AWE? Comments, please!